Social media, specifically social networking sites, are quite popular today, so evident by the fact that they are responsible for several coined expressions like “Like” and “Tweet”. Social media has also become an outlet for businesses; in fact, there are plenty of big-time companies that started as an online business. Those who are new to the corporate world naturally would want to keep up with their competitors, and so setting up a variety of social networking accounts is a pretty good way to meet potential clients, as well as promote a product or a service. While many merchants would automatically set up a Facebook or a Twitter account, it is unfortunate to see that not many are tapping into Google Plus (Google+) just yet, which is a great advantage for you and your business. As you might have guessed from its name, Google+ is a product of Google, and for many people, that association is already enough to back up this new social network’s credibility. Like all social networks, Google+ allows a computer user to set up a profile where he can share his thoughts, pictures, videos, etc. He can also add friends to his “circle”, and he can also join a “community”. Google+ can also work as a calendar for events and personal schedules. Not many people know that Google+ is not the first social networking site that Google created. The company first introduced Orkut in 2004, with Friendster as its main opponent in the social game. Facebook, Twitter, and even Myspace were yet to be introduced years later. Unfortunately, since the Internet was not yet that public at that time, Orkut did not fare well in the international market. Google then introduced Google Wave in 2009. This beta was built with several features of social networking sites today, such as real-time talk and file sharing within a single platform. However, many netizens found it difficult to use the site. Plus, there was really no outlet for members to socialize and get to know other Wave users, so eventually, Google Wave was scrapped, only to be followed by Google Buzz. Google Buzz was a more improved version of the Wave, having been integrated with Gmail and Picasa. It also solved the problems that Wave users had with link and file sharing, and there was now more room for socializing. However, because of problems with privacy, Buzz failed to make a name for itself in the Internet world. Remember This? We Barely Did. Finally, Google Plus (or Google+) was introduced in 2011. Like many of Google’s products, a person can only gain membership upon invitation. Because of its added features that made it a powerful competition of Beluga, Facebook, and Twitter, Google+ has found popularity and eventually planted roots online. According to Global Web Index’s 2012 report regarding Active Social Platform Usage, Google+ has already overtaken Twitter in the number of regular and active users per month, thus becoming the second largest social network with about 343 million users. This number accounts for 25% of all Internet users, while Facebook is still in the lead of the social game with 50% of Internet users. However, with other services like Gmail which are already popular and actively used by Internet users, Google has already proven that it is here to stay long-term, and the same can be said about Google+. How is Google+ Different from other Social Networking Sites? 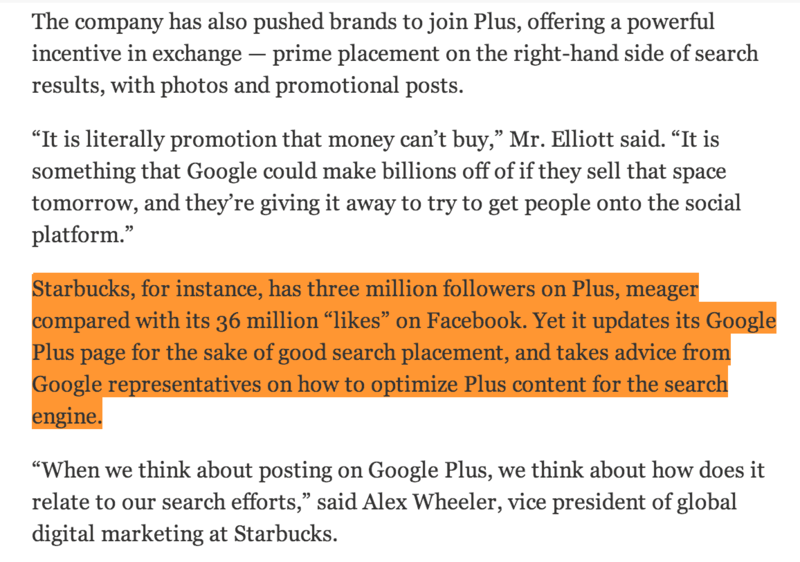 Again, one major difference is that while most social networks started out as a single product, Google+ is created and owned by Google. That is why it has several features that Facebook and Twitter do not have. Google+ is connected to all services by Google. For instance, when you have a Google+ profile, you don’t have to open new tabs and windows on your browser to log in to your email account, your online calendars, maps, and documents. You can simply click on these links that are placed at the very top of the page. Thus, the pages become easier to manage. Each one is already integrated to 1 universal account. As a user of the network, you have a more personalised experience with it as it is integrated to the search engine when logged in. You can see relevant news to you instead of what is normally shown in the results. As a business owner, you have access to a number of services, including Google Maps, so you can have your business show up there. When potential clients find your listing, they can get directions to the address, contact details, store information, and links related to your business. Google+ is like a combination of other social networks, as it has the ability to segregate your personal life with school, work, and business, without having to create new profiles. Another thing that is different about Google+ is that you can opt to use it more as a business hub, rather than just a personal social site. This is why a lot of budding new author and professionals are flocking over to Google+. It is not a secret that Google is one of the most trusted and used search engines, and one advantage of having a Google+ profile is Authorship, which we will discuss later on in this article. What are Google+’s Unique Features? 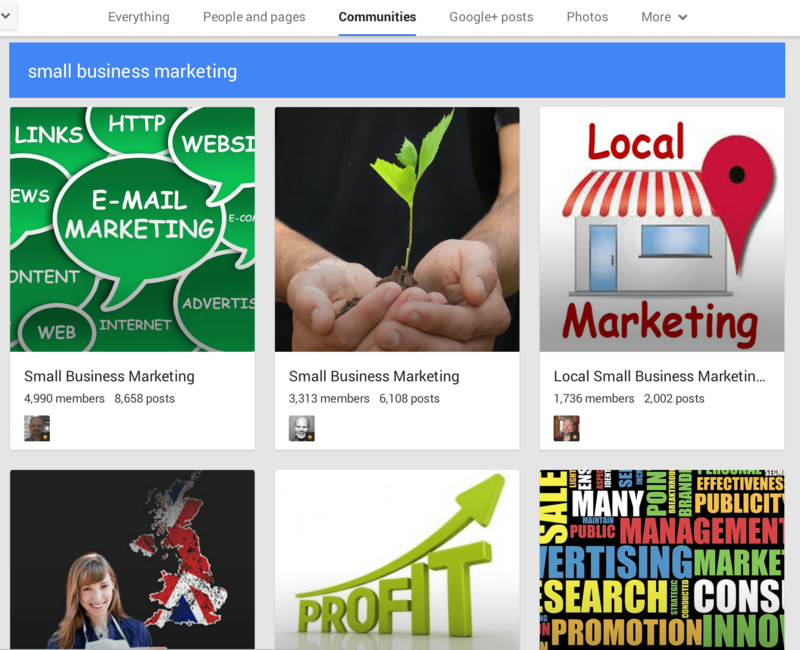 Business – There is now such a thing as a Google + Business page. This is similar to a Facebook Business Page but more “premium” with all the added benefits you get from the other services that Google offers. Plus, people from all over the world can find your business page using the Google’s search engine, and once you put have these potential clients in your followers circle, it will be more convenient for you to stay in touch with them. 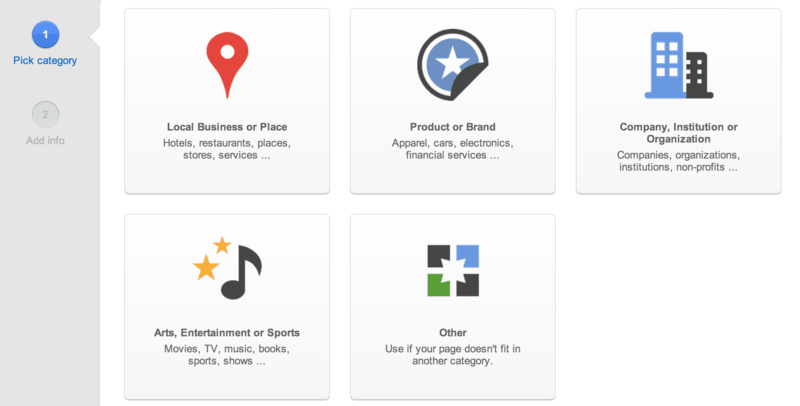 Google has also introduced a feature that will allow you to promote your business page for free. As with other social networking sites, you can always include your profile details on your posts and advertisements to encourage people to get to know your brand better. A business page can act as your credibility sheet since your clients can contact you publicly by posting on your page. They can also choose to share their positive and negative transaction experiences with you via the stream or through the review feature if you are a local business. Another feature of the Google+ Business is its Google Maps integration that will give exact directions to your company address by using Google Maps. This is very useful when it comes to bringing clients to you personally. One more good thing is that you can use this as part of a rich snippet for your website where you can assign the Google+ Business Page to be the official “Publisher” (using the Rel=”Publisher” code) of your website. Google will have a better idea of what your business is about and rank you accordingly. Circle – A circle refers to a group of people. What’s interesting about this feature is that each circle has a different world, so to speak. In the context of a circle, Google Plus operates like Twitter in the sense that you can include a person into a circle, even if you only have a one-way relationship with him. For example, you can follow and add the profile of your favorite celebrity into one of your circles, even if that celebrity doesn’t follow you or add you to one of his circles. Connection is more important than familiarity, especially if you are using Google+ to expand your business. You are more concerned about exposing your company, rather than gaining friends. With circles, you can separate your personal friends with people you know from work or school. You can also set up another circle for business purposes. One of the advantages of circles is that privacy is enhanced. Circles have their own news feeds, and your posts and messages in one circle will not be visible in other circles. Circles are a great way to organize the people you’re currently connected with. Chatroom – One of the main purposes of social networks is to keep people connected with one another. It is a means to keep in touch with loved ones and make new friends. Business owners use social networking sites to look for clients and investors. With Google+, Google Talk is used as an instant messenger, and all conversations done over Google Talk will be saved in a special label in your Gmail account. Google Plus also allows users to chat with people by sending chats to their mobile phones. These sessions are called huddles, and they only work when the communicating parties have activated Google+ on their mobiles, or when they have installed the application on their devices. Video chats are not new to Google Plus. In fact, Google has found a way to make video chat sessions, also known as Hang-Outs, to be more convenient and enjoyable. Sessions are made per circle, and a session can hold a maximum of ten people. The windows of all participants will be arranged in a circular manner, and whoever is talking will be placed at the very center. What if people are talking simultaneously? Google will then put the window of the participant whose voice is the loudest and clearest. They also introduced Help-Outs where people can help other people on certain things and they can charge for a certain fee for their work. Chrome – Since Chrome is also created by Google, it is only natural for the bowser to come with extensions and plug-ins that help users keep track of their Google Plus accounts. This comes in handy for alerting the user of notifications in real time. There is also an extension called DoShare, which helps users schedule posts that they want to share during specific times, perhaps for events. Another awesome Chrom Extension? It’s the Post Editor for Google+! Not much people know about this yet but we hope this makes Google+ more accessible to more people. Communities – Basically, communities are groups that you can join in for whatever purpose you have. A community is like a club in which if you can join or leave at any time. Note that some communities are private or secret, requiring the permission of the creator before you can be given membership into it. Like sparks, a community is a good place to find people who may be interested in your business. Mobile – Simply put, you can connect your Google Plus account to your mobile phone by other synchronizing your activities using your mobile number, or by installing a Google+ application on your phone. This is a useful feature for business owners who want to stay on top of their businesses even when they are not in front of a computer. Obviously, this is more-so for Android users. Photos – Google Plus will not be complete as a social networking site without features that are solely for image storage purposes. This is possible thanks to a process of cloud computing, which is basically a way of getting more storage space in the Internet. Cloud computing makes sure that you, or anyone with permission, can access the files that you have uploaded in the cloud computing device. 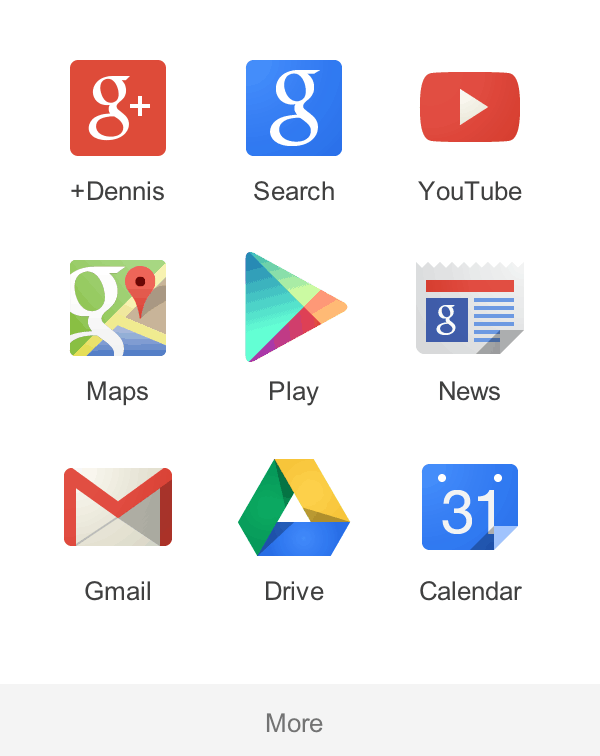 Google+’s device comes in the form of Picasa. Picasa has been present for several years now, and as you may know, it doesn’t only keep and organize your pictures in a photo viewer. Picasa also allows the user to edit his pictures within the site. Since Google Plus takes advantage of cloud computing, there is no danger of running out of storage space for your pictures and videos. The best thing about this is you can have the full images, unlike the lowered quality versions on Facebook, Instagram and the other social networking sites. You can also use “Auto-Awesome” where you can have your images move in a GIF-style form. Privacy – Because privacy is often a big issue when it comes to creating social networking profiles, Google Plus made it a point to give the user full rein on what he wants to share or not. These options can be accessed by going to the main account settings. Overall, the status of security depends on the discretion of the user, since Google Plus provides many options for privacy, from screening posts to not showing personal information like email addresses and birthdays. The user can even control the people who can post on his profile. Profile – Of course, as with all social networking sites, you first have to create a profile before you can fully experience what Google Plus has to offer. It is fairly easy to create an account, as long as you have a Gmail account. Once that email address is verified, you can now proceed to customizing your profile. For security reasons, it is at your own discretion what you want to share with others, as well as what you want others to see when they view your profile. For business owners, sharing contact details, the shop’s building address, and other important store information are always kept public. The profile owner has complete control over all aspects of his account, including the things that he wants to share per circle. Another thing that is different about Google Plus is that inputting private information is not mandatory. You can even choose not to input your birthday, instead of just keeping it hidden. As long as you input an email address and a name, your Google+ account is good to go. The activities that you’ve chosen to share to either the public or your chosen people or individual will reflect on the “stream”, which is basically the same as the wall or the news feed on Facebook. You can hide posts from people that you don’t want to see, and you can tag people on your status updates by using @ or +. What makes Google+ different from Facebook in this sense is that in Google Plus, you can customize the style of your texts. For example, you can write your status in bold, italic, italicized bold, and strikethrough format. The Google Author Rank or Agent Rank has also been introduced through the G+ platform. You can say that this network was born with this in mind. This will serve as an identity service that encourages the use of digital signatures and authorships to rank the credibility of a profile, a blog, or a website, in terms of search engine results. It also makes use of reputation scores to help Internet users find the most useful content for the keywords they’ve searched for. This can be very beneficial for product branding and company promoting, especially since authorship makes sure that all contents are digitally signed, making the brand/company easy to find. Sparks – This refers to an RSS reader of sorts. In this information age, a lot of people get their news from social networking sites, which is why social media is such an integral part of digital marketing as a whole. It is simpler quicker to read the latest headlines from the Internet than browse through newspapers. When you set up a Google Plus account, you will be directed to a page where you can input the topics that spark your interests. For example, you love sports. When you include this in your sparks list, the next time you access your stream, you will find news that are related to sports. In the business world, getting the latest news on the market is very crucial to stay ahead of your competition. Plus, these posts are usually accompanied by comments of people who have read them. Consider this pool of people as another circle whose interests are the same as yours. That way, you can also consider them as potential clients and investors for your company. As of today, while you won’t be able to see the Sparks tab on the left sidebar of your Google+ profile, you can still manually access Sparks by using the search bar. Once you’ve entered an interest on the search bar, a drop-down menu will give you the choice to save your search into your Sparks profile. How Do You Create a Google+ Page for Your Business? 1. Start by registering for a Google account. People who already use Gmail can simply use this email address to set up a Google+ profile. By doing this, the information from the email address, including contacts, profile picture, and calendar, will be used by Google+ to fill in the profile details, as well as look for contacts who are currently using Google Plus. If you would like to set up a Google+ business page, then you could opt to first create a Gmail account for your business before proceeding to the creation of the Google Plus page. That way, you can separate your personal life with your business endeavors. Having your own account is also good if you are not the sole owner or manager of the company. Select Local if you Plan to Appear on Google Maps. You Can’t Merge It with Google Places if Your Don’t. 2. The second step is to point your mouse cursor over the upper left “Home” button. Click on “Pages” and identify the type of account that you are creating. This will become a more convenient way for potential clients to identify the nature of your business. Currently, Google Plus gives you five options, namely: local business or place; product or brand; company, institution, or organization; arts, entertainment, or sports; and others. (Shown in the Picture above) If you are a local business and plan to appear in Google Maps, select Local Business. Locate your address here so it can be identified on Google Maps. You will be able to merge it with your Google Places listing once you are finished setting up the Google+ Local Business Page. Once you’ve made your choice, it is now time for you to enter your basic details, such as the company name, the links to your business website, and a more detailed description of your business. You can also make changes to the privacy of your page, including your own opinion on whether your content is suitable for all ages, or just for adults (18+). 3. Finally, you just have to customize your page. Since this is going to be a business page, it is recommended that you keep it simple, but make sure that all the essentials are posted on your profile, particularly about how people can reach you. Add a tagline if you have one, edit your cover image and don’t forget the display picture. 4. Once done, you can then verify your address. They will send you a post card with a PIN within a week or 2. Input it immediately once you receive it because it is only good for 30 days. If you don’t receive it, just request for another one. It gets lost very often here in the Philippines. Once your Google Plus profile is up and running, the next thing for you to do is double-check your profile, and fill in the details that you might have left blank earlier. Remember that the point of creating a business page is to get more exposure from the public, and so you shouldn’t forget to include details that will lead people to your company. Once you believe that your profile is already complete, it is time to look around and familiarize yourself with how things work within Google+. Now is the perfect time to check out your competition and your chances of being successful in the online market. You may want to start by joining communities and adding friends. You might also want to start a community of your own once you get used to it. Once you’ve begun the process of welcoming people into your Google Plus page, don’t overlook the importance of putting these people into circles. You could segregate them according to your possible market demographics. By doing this, you are able to research on the products and services that will be popular in a certain demographic. Take this chance to catch up on your market research. To get more people to visit your Google Plus page and profile, you may want to try the SEO approach, wherein you regularly optimize the content of your stream. Generating fresh content and updating frequently are great ways to make your presence known. People searching within Google+ or within an App created by Google will have your content shown to them. It’s also possible to have your actual post rank in Google, but you’d need to have a very authoritative account, at least in it’s current form. The content you produce could also, theoretically, add relevancy – so Google’s algorithm can relate it to your business’ website, hence improving your online visibility and SEO campaign. How to Promote and Market Your Business via Google+? Make sure that your Google Plus account is linked to your company’s official website. You can also link this account to your other social networking profiles, if applicable. 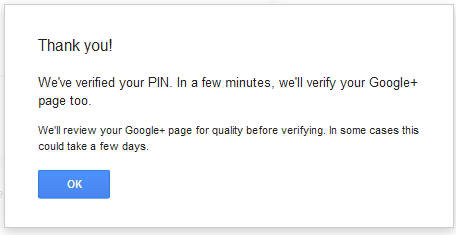 Since the URL of Google Plus page you get “might” be a tad long, you may want to use a badge on your site. Share your Google Plus account using all the resources you have, from social networking profiles to print advertisements to press releases. You can also include a link in your other personal links, or on the company website. Try to create your own community. This will give your audience a better chance of getting to know your company and what it’s all about. Of course, you have to make sure that you actually do or give something back to the community to make it work. Join communities and actively participate in their activities by posting comments and sharing posts on your own stream. Eventually, you will be able to post your own content into that community, and your content may lead them back to your profile, that is, if the community allows such promotions. Don’t underestimate the usefulness of hashtags. Hashtags can help you find people who can relate with your stream posts, and this could be a chance to offer them the products and services of your business. Getting more and more people to follow you will boost your popularity and will land you on the trending posts. Just by making the top ten will automatically lead more people to you. You can always look into paid promotion like Google Adwords and other PPC networks. 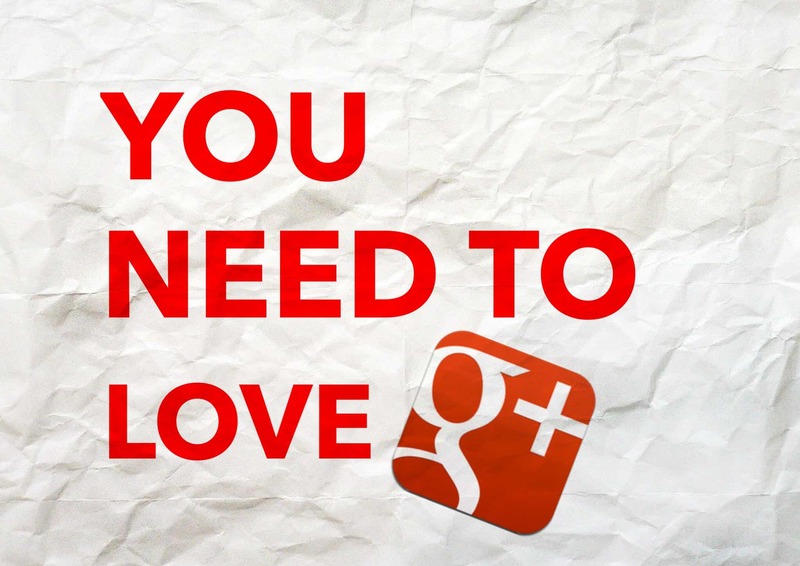 Do You Really Have To Be on Google+? 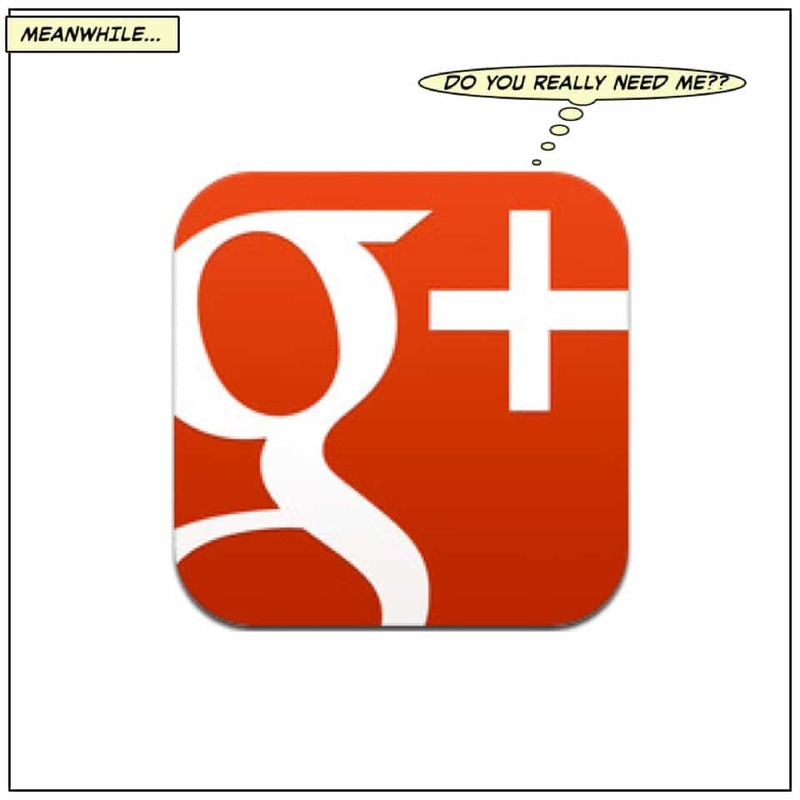 Is Google+ Really That Important for Marketing? A lot of business owners would prefer not to bother since it is still not big in certain countries, but it’s their boat to miss. Early adopters for Google+ users are gaining a lot benefits from it. Authorship alone has benefits you won’t get from anywhere else. (Update: Authorship is not applicable anymore today) Then there’s Google Maps + Google Places integration with your Google+ Local Business page. 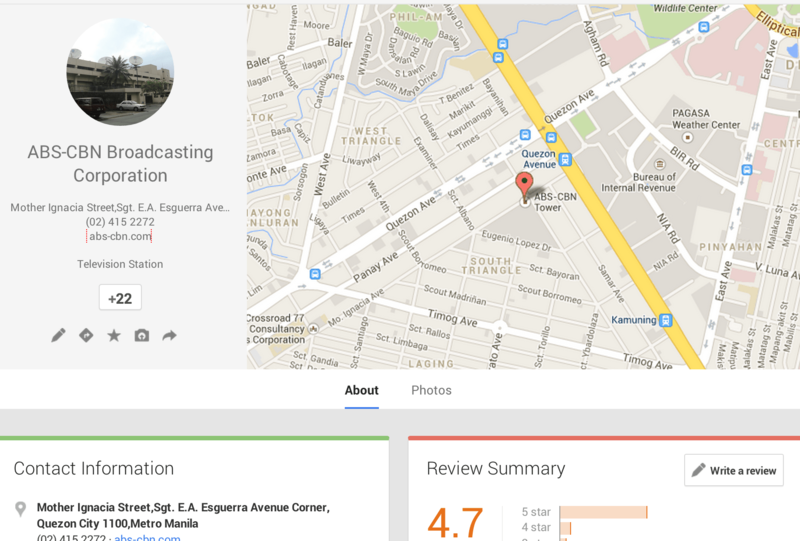 Almost everyone with an internet connection uses Google Maps and if they find you there, they can see social proof by looking at your photos and reviews. All the benefits lead to improving their local SEO visibility early and that will put them ahead of their competitors. How about you? Wouldn’t you want that for your business? Thanks for posting. Very well written!